Because when they do stop mass shooters it's before it reaches the "mass" definition. 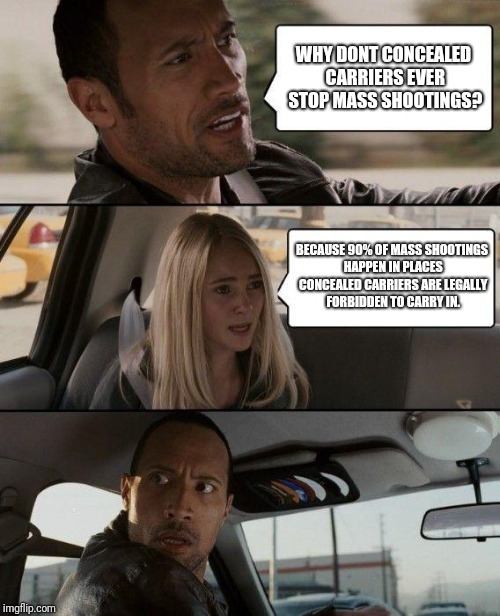 WHY DONT CONCEALED CARRIERS EVER STOP MASS SHOOTINGS? BECAUSE 90% OF MASS SHOOTINGS HAPPEN IN PLACES CONCEALED CARRIERS ARE LEGALLY FORBIDDEN TO CARRY IN.